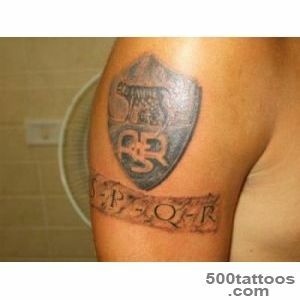 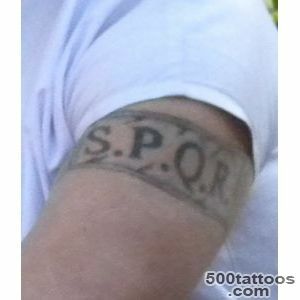 Tattoo with the acronym S.P.Q.R. 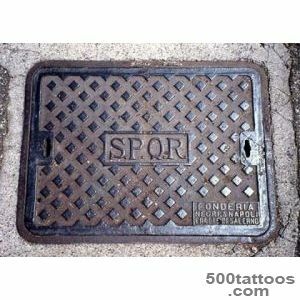 was widespread in the Roman legions, it did virtually all the legionnaires at that time, to show that they belong to the Roman Republic. 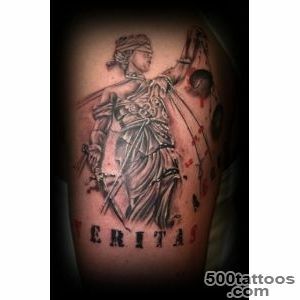 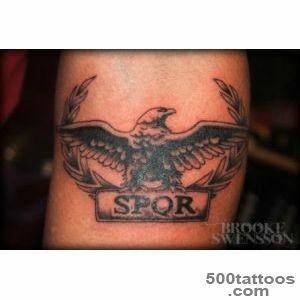 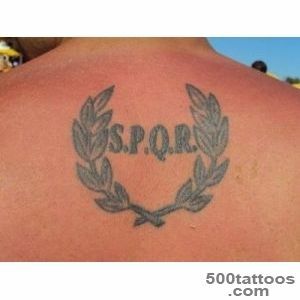 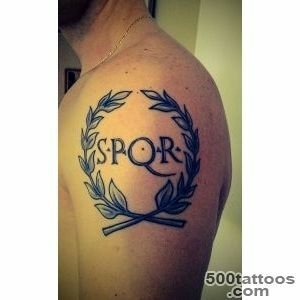 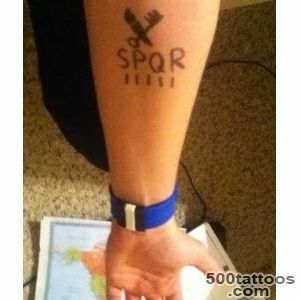 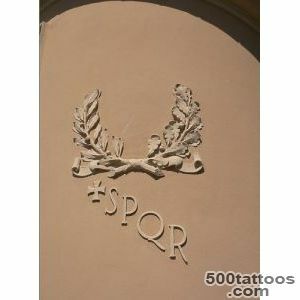 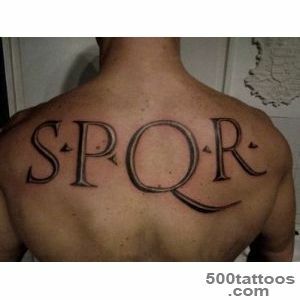 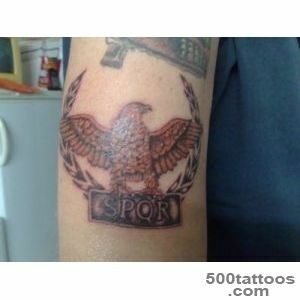 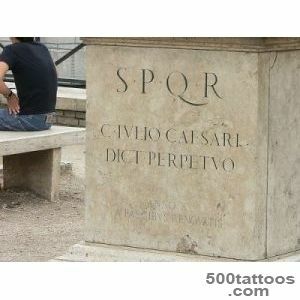 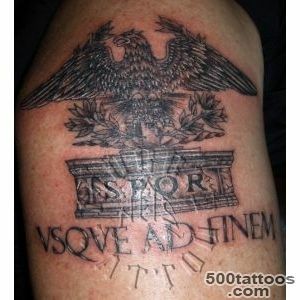 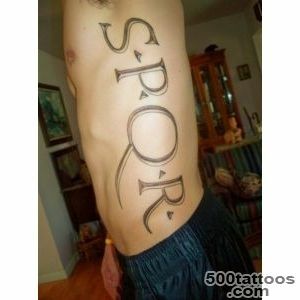 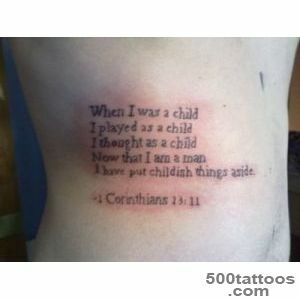 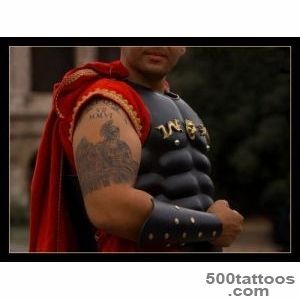 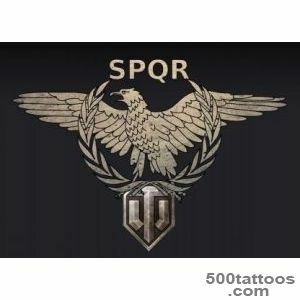 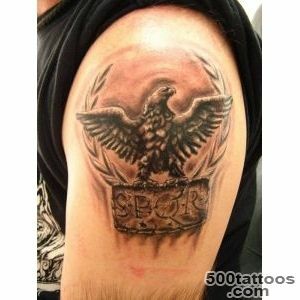 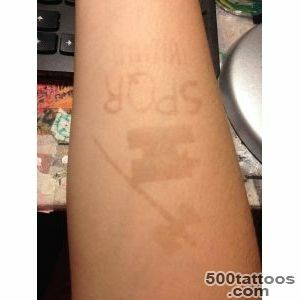 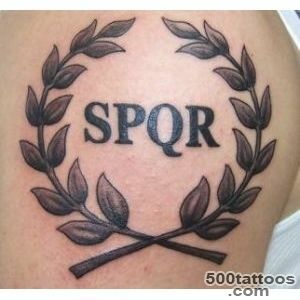 The value of such a tattoo literally translates as : The Senate and the citizens of Rome. 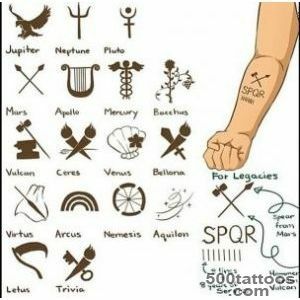 Even in our time began to spread such tattoos. 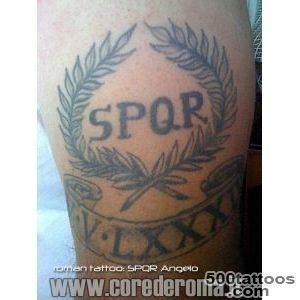 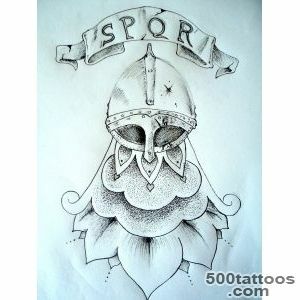 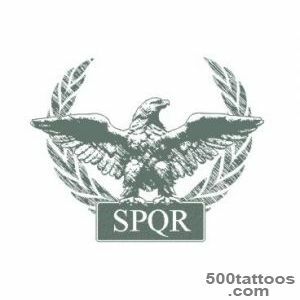 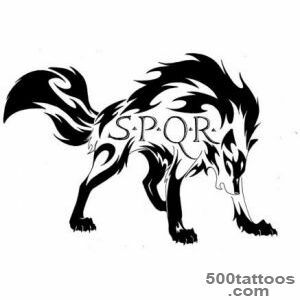 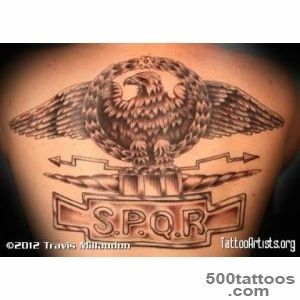 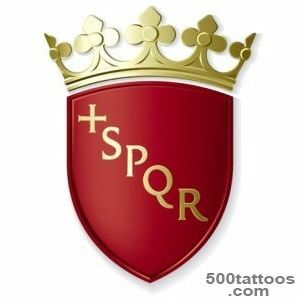 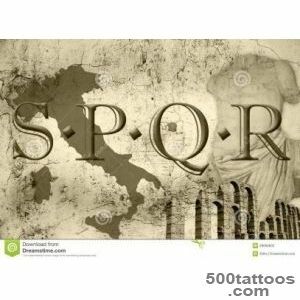 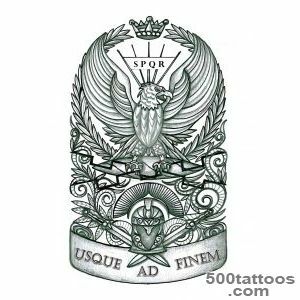 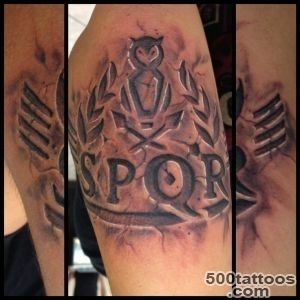 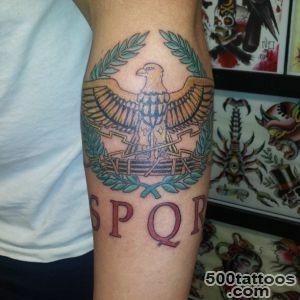 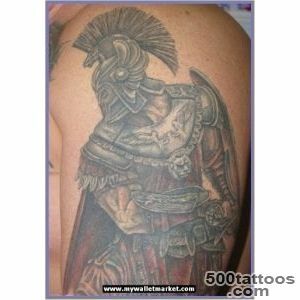 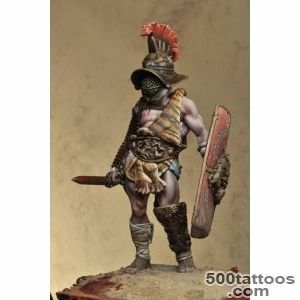 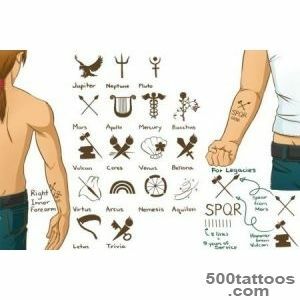 This is explained by the fact that,making a tattoo, a man attached in some way to the Roman style and imbued with their history, as well respects and honors the Roman legionaries. 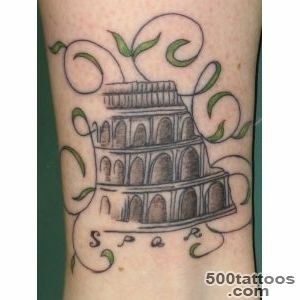 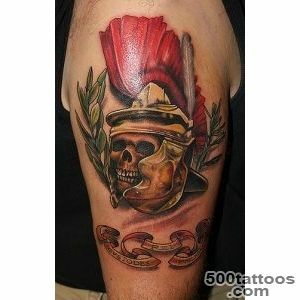 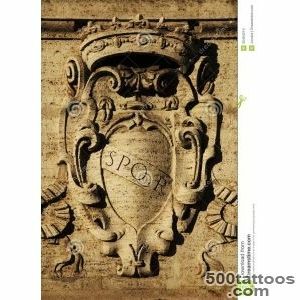 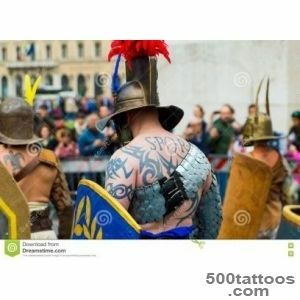 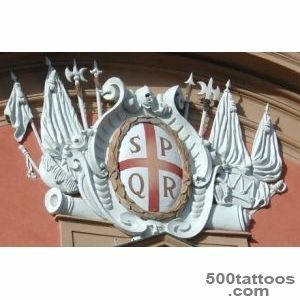 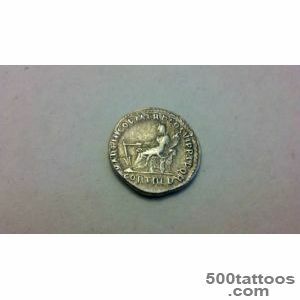 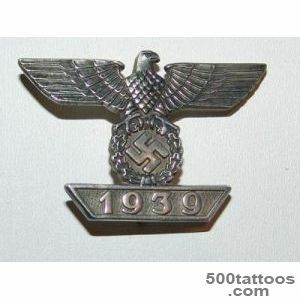 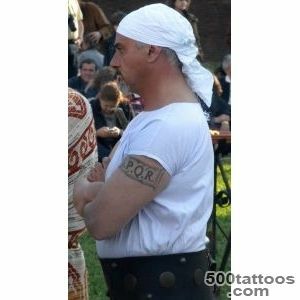 This tattoo is a kind of patriotic Italians and historically valuable with fans of Roman history.